Softens 39 loads. Excluded are Alaska, Hawaii, Puerto Rico, APO/FPO, PO Boxes and International locations. Zoom Supply Ecolab 6100998 Tri-Star Clearly Soft Plus Fabric Softener - 5 Gal Liquid fabric softener that gives sheets and towels a longer lasting freshness and luxurious softness. Uses encapsulated technology that brings a fresh and light fragrance from the laundry room to the guest room. Just-laundered premium freshness is release every time linens are used, creating a lasting impression. Formulated to dose at higher levels without impacting the absorbency or whiteness of linens. Fresh, pleasant scent. Scent: Mountain Rain; Number of Sheets: 144 per box. Excluded are Alaska, Hawaii, Puerto Rico, APO/FPO, PO Boxes and International locations. • Fresh, pleasant scent. Zoom Supply ECO 6100031 Ecolab TriStar L2000XP Laundry Detergent (5gl) Unlike Wimpy Cheapies -- Tri Star Blasts Nastiest Crud & Stains Ecolab 6100031 TriStar L2000 XP liquid laundry detergent is a specialized, commercial-strength detergent designed for hospitals, nursing homes, restaurants, universities, etc. . . . where tough crud & stains need blasted away on the first wash . . . unlike the whimpy detergents that don't get it done. A high performance, alkaline, one-shot, emulsion detergent with nonionic surfactants and conditioners. 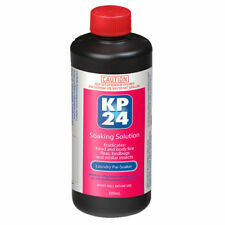 Effective on both oily and particulate soils. Superior surfactants boost performance in a wide range of wash temperatures and in challenging water conditions like high hardness or high dissolved solids. When you need it done right & fast the first time . . .
Radiant Whites & Colours Laundry Powder is specially formulated to protect whites and colours while lifting dirt and tough stains. Infused with Colour Guard, Anti-Fuzz & Anti-Grey technology keeping clothes bright and pill free - take the hassle out of doing the laundry with Radiant. The yellow pad is the most aggressive pad and should only be used on oxidized and older finishes. Always follow this pad with an orange pad and a fine polish then a white pad to refine the paint until it is smooth. Reduce static cling. Cuddle-up Blue Sparkle scent. Scent: Blue Sparkle; Number of Sheets: 2 per box. ZoomSupply ECO 6100106 Ecolab TriStar Solar Brite Laundry Detergent (5gl) Blasts Nastiest Stains First Time -- When Image Matters Ecolab 6100106 TriStar Solar Brite liquid laundry detergent is a commercial-grade, professional detergent designed for upscale: Resorts & Hotels, Hospitals, Restaurants, Universities, Fitness Centers, Day Care, Military, etc. Soothing light, fresh calming fragrance. Solarbrite blasts nastiest crud & grime . . . on the first wash . . . unlike other whimpy detergents where you're wasting $$$ and time re-washing. You only have one image . . . and customers are paying close attention to your work . . . when your image & reputation matters more . . .
Sturdy, ultra-durable basket handles heavy laundry loads. Smooth finish prevents clothes from snagging on the basket. Molded edges help you keep a solid grip, ensuring carrying ease. • Durable construction to handle heavy laundry loads. ZoomSupply ECO 61502222(6102222) Ecolab Brite White Laundry Powder Detergent (250/pl) Unlike Whimpies -- Blasts Nastiest Toughest Stains & Crud Ecolab 61502222(6102222) Brite White NP powder pre-measured packets "throw-ins" are a commercial-grade laundry detergent that blasts nastiest dirt, grime and crud from clothes, towels and linens . . . and unlike whimpy cheapy detergents, there is no wasted $$$ and time re-washing. Top Choice: Hospitals, Resorts & Hotels, Restaurants, Churches, Schools, Universities, Theaters, Stadiums, Grocery, Nursing Homes, Military, etc. Ecolab Brite White is a concentrated, non-phosphate formula that gives brighter whites and colors and provides economical use cost. Special enyzme stain removing capability allows for the elimination of prespotting. 250 packets per pail. Softens clothes; gives a fresh scent. Scent: Outdoor Fresh; Number of Sheets: 160 per box. Excluded are Alaska, Hawaii, Puerto Rico, APO/FPO, PO Boxes and International locations. THIS IS A 2 (TWO) PACK OF 300-LOAD, 8 LBS BAGS FOR A TOTAL OF 600 LOADS. Our formulas are what make us special. We do things differently here at Charlie’s Soap because in our case, different (and simple) is better. If you use the best and purest ingredients, you don’t need (pardon the pun) a laundry list of ingredients. All you need is what works. ZoomSupply ECO 16001(6116001) Ecolab Solid Navisoft Fabric Softener (2/cs) For Ultra Soft Linens -- When Your Image Matters Most Ecolab 16001(6116001) Solid Navisoft is a commercial-grade laundry sour for extending the life of $$$ linens, etc. . . . unlike whimpy cheapy sours that are ineffective, Navisoft Sour Solid is the top choice of upscale: Resorts & Hotels, Hospitals, Restaurants, Nursing Homes, Fitness Centers, Country Clubs, etc. Ecolab Navisour is a highly concentrated mixture of fabric softener and sour leaves linens with a soft hand. Doesn't spot or stain like many liquid softeners. Execs and others are paying close attention to you . . . don't get noticed for the wrong reasons. The correct level of sour ensures that proper pH level is achieved to prevent skin irritation from residual alkalis and bicarbonates. ZoomSupply ECO 13649(6113649) Ecolab Solid Stain A Way NP Power Laundry Stain Remover (2/cs) Protects Your Valuable Hard-Earned Reputation Ecolab 13649(6113649) Solid Stain-A-Way NP is a commercial-strength laundry destainer and cleaner that attacks the nastiest crud, stains & spots the first time . . . unlike the whimpy destainers that cause re-washing. Execs and customers are paying close attention to your work . . . don't get noticed for the wrong reasons. Ecolab Solid Stainaway solids means no more ruined and damaged $$$ bleached out carpeting or stained floors from spilled liquids. Top Choice: Resorts & Hotels, Catering, Rental Companies, Nursing Homes, Hospitals, Restaurants, Fitness Centers, Churches, Day Care, Military, etc. When your image and reputation matters more . . .
Zoom Supply Elkay WSB3639 36"x39" Water Dissolving Laundry Bags (100) Protect staff from risk of contamination. Bags dissolve completely in water temperature of 140° F. Water soluble tie tape attached to bag for easy closure. Bags can hold wet or damp laundry for hours. Bags will not damage laundry, equipment or sewer system. Environmentally-friendly and hygienic solution to minimize contact between staff and contaminated laundry. Commonly used in healthcare and industrial settings to isolate, transport and clean soiled bed linens, clothing, uniforms, etc. Can help to prevent contact with airborne bacteria, infectious bodily fluids and blood-borne pathogens. Gauge: 0.0008. Zoom Supply Ecolab 6100910 StainBlaster Power Pak Plus Reclaim Color, 1lb pack, 12/cs ---Alkaline powdered laundry stain reclaim product that contains a blend of surfactants, builders, enzymes and chelant for excellent soil removal. ---Formulated to be used with colored linen Ecolab 6100910 Stainblaster power packs are a commercial-strength, ultra powerful laundry spot and stain remover . . . unlike whimpy cheapy stain removers that leave tacky and ugly grayish spots . . . Ecolab Stainblaster gets it all. Top Choice Upscale: Resorts & Hotels, Restaurants, Hospitals, Nursing Homes, Caterers, etc. Optical brightener and oxygen bleach to maintain and enhance linen whiteness, as well as fragrance for optimum freshness. Effective on a wide range of soil types such as food soils, body soils, makeup. Zoom Supply Ecolab 6117301 Solitaire Laundry Detergent, 4/5lbs ---An everyday favorite. Concentrated detergent for manual washing. ---Use with Geosystem[TM] 9000 Ecolab 6117301 Geosolid Solitaire dish detergent is a commercial-grade, pro-strength concentrate dish machine detergent that blasts nastiest crud and crap way, way faster on the 1st wash . . . unlike whimpy dish detergents that require 2nd, 3rd, 4th washes to get finally get clean. Patented GeoFusion technology, featuring Titrex-7™, ensures maximum cleaning power from shape-coded, color-coded, non-caustic blocks. Each concentrated block delivers powerful cleaning results for an extended number of warewashing cycles. ZoomSupply ECO 17905 (ECO 6117905) Ecolab Solid Surge Plus Laundry Detergent (4/cs) Unlike Cheapies This Blasts Nastiest Stains Ecolab 17905 Solid Surge Plus NP is a professional, commercial-grade laundry detergent specially designed for commercial linen washing machines . . . unlike whimpy laundry detergents leaving behind disgusting stains and germs . . . Ecolab Solid Surge blasts away the nastiest crud and funk ensuring your image remains pristine. Top choice of up-scale: Resorts & Hotels, Restaurants, Universities & Schools, Military, etc. Protect your most valuable asset . . . your image and reputation for cleanliness . . . or watch your customers flee! When your image matters more . . .
Silicone Trowel & Scraper Corner Glass Glue Residual Removal Caulking Tool Kit. 1 Silicone Trowel & Scraper with Interchangeable Pads. Won't waste sealant, excess sealant could be saved on silicone pad. Ensure you always arrive fresh, clean and ready to go with the Sea to Summit Trek & Travel Liquid Soaps. Fitting easily into cabin baggage or expedition pack, these liquid soaps will spruce up everything from hair to body to clothes. The made-to-travel, leak-proof bottle is airline friendly and the green tea scented, phosphate-free formula is environmentally friendly and supported by Leave No Trace. Biodegradable – for better dispersion into the environment Liquid Soap – super thick, concentrated (use sparingly), PH Neutral, Phosphate and Paraben Free Bottle – custom designed by Sea to Summit for best shape performance, and IT IS LEAKPROOF. TSA compliant – 89ml/3.0oz is just under legal carry-on size as approved by the TSA – choice of products to suit the needs of every global traveller! S.
The proprietary technology also allows you to clean and condition your clothes in 1 step. Be sure to toss the Tide PODS pac into the washing machine drum before you add clothes. Tide 4-in-1 Downy Pods, April Fresh, 12oz (EXP DATE: 12/01/2019). 16 Bushel Laundry Truck. There are a few small stains here and there but overall it is in excellent shape. The basket portion is 30" tall. San Luis Obispo, CA 93401.